Suitable for vegetarians and formulated for sensitive skin, our goats milk soap has been handmade using premium vegetable oils, rich creamy goats milk and natural Australian cosmetic grade clay. 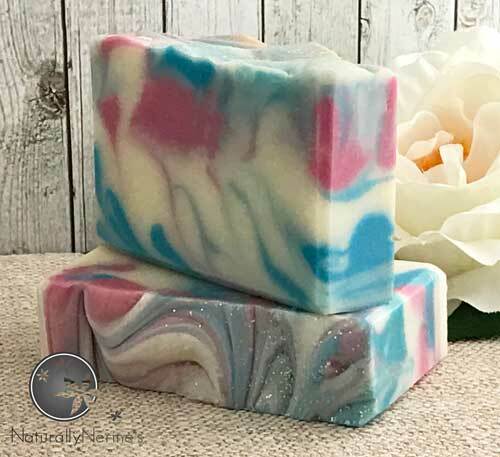 Cured for at least 8 weeks, Naturally Nerine’s Goats Milk Handmade Soap produces a gentle, smooth and long lasting bar that has a bubbly lather when used. Ingredients: Goats Milk, Water, Sodium Hydroxide, Olive Oil, Coconut Oil, Sustainable Palm Oil, Castor Oil, Kaolin Clay, Tapioca Starch, Sodium Chloride, Fragrance.